The official Facebook app now supports 3D Touch, the fancy new feature in the iPhone 6s series that allows you to press harder on the icon to get a pop-up menu with additional options. For most users the app will automatically update and you should be able to use 3D Touch right away, but in case it hasn't you can go on the App Store to check whether it has updated to the latest version. 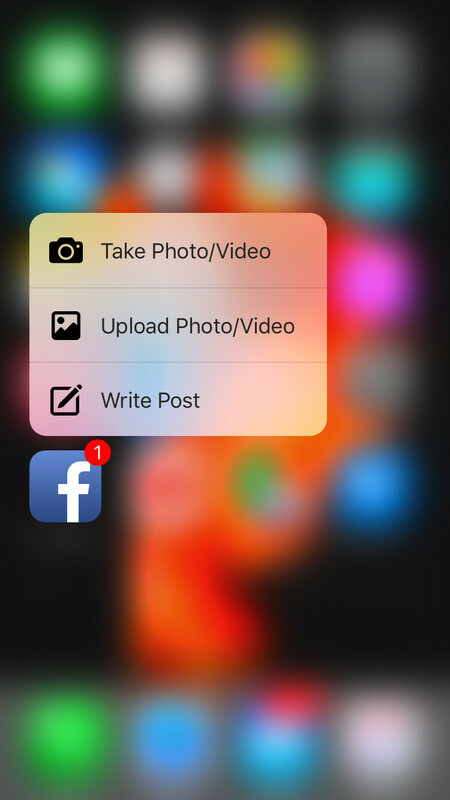 The update is a fairly minor one: there is still none of that Peek and Pop functionality we've seen in Mail, nor there is support for uploading Live Photos as far as we can see, so the only novelty is being able to 3D Touch on the Facebook icon. This will show you shortcuts to taking a photo/video, uploading one, or writing a post. All of this is neat, but maybe not as useful as an update to Messenger would be, where we imagine you would be able to quickly go into recent conversations. The download link for the app is right below and also below, you can find a screenshot of the new functionality. It's a great feature. I hope galaxy s7 adds this..
Don't expect third parties to support Android's new "features" whatever they might be. 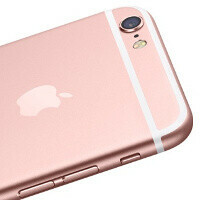 Third parties rarely support Android's new "features" due to the fragmentation. They simply target ICS from *2011* Stay there. This just made Facebook 10X better. Are you really that ignorant? Long Press is not the same thing as this Touch thing. Long Press requires tap and hold for about a second or so; however, 3D Touch is a quick press on the screen. iOS also has long press. Yay, so this saves me a few seconds. Force Touch, or 3D Touch as Apple calls it has been underwhelming...I have yet to see any substantial uses (again, most apps' shortcuts are to save you from visiting just one screen, which would legit save you a couple seconds) and it's alarming when the initial 6S boot up does not even mention the feature or allow you to even demo it. It could show potential, but as of now, it's not necessary, feels rushed (given how many apps don't use it), lacks a killer app that really expresses WHY it's a must, and does nothing for me, personally, having moved from 6 to 6S (carrier switch, so made no sense to go from 6 to 6 anyways). So right now it's a joke because apple did it, but when Android Oems add it all of a sudden it will be a mega feature? Anyone that hasn't used 3D touch has no idea now awesome it is, it's not the same as long press by any means. It does not replace long press and adds a third dimension to clicking, 3D touch is the perfect name. Just wait, the second Android gets it, the groupies here will start to love it. Just watch, next year all Android Oems will add 3D touch Just like they added fingerprint scanners after touch ID and not after Moto did it with the Atrix.